SpringerSpaniel.com originated from our love of English Springer Spaniels. King Corky was our first Springer and brought us many years of happy moments. Unfortunately he passed away but his memory lives on. We now have Kingston Kelly. He is a great dog and you’ll come across both King and Corky’s pictures throughout the site and we encourage you to submit your Springer photos as well. 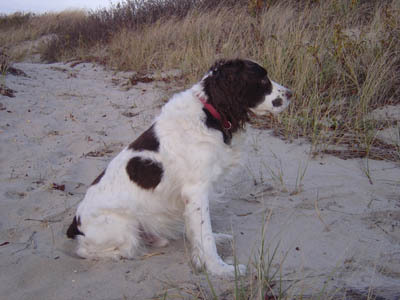 First and foremost, we want SpringerSpaniel.com to be fun, exciting, interactive, and useful for all our visitors and members of our community. We are adding new features such as the SpringerSpaniel.com Newsletter, community message boards, Springer Spaniel product page, rescue and breeder listings, puppies for sale, and much more. We are always open to suggestions and ideas to help improve our site. Feel free to contact us at any time because just like you, we are here because of our love for Springer Spaniels.